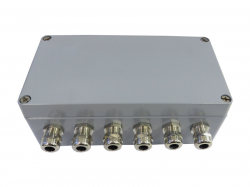 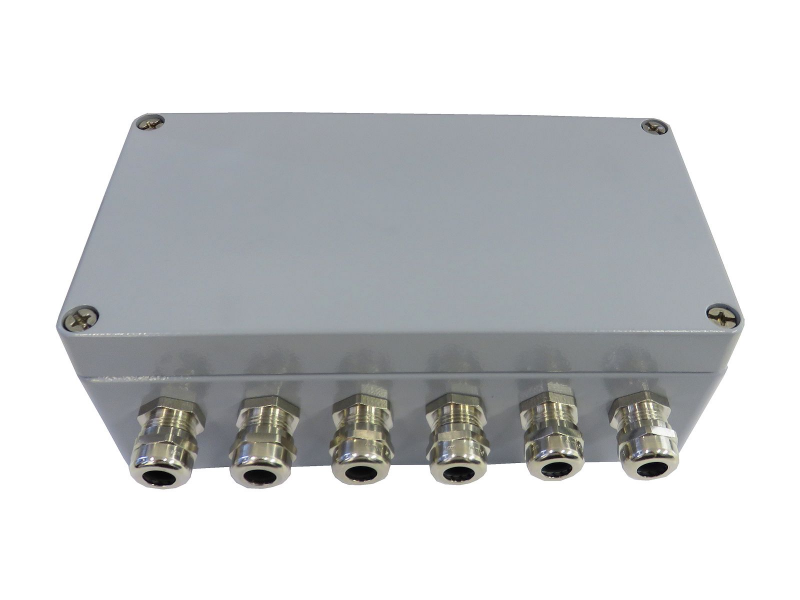 Junction box in IP66 aluminium housing for the connexion of up to 4 load cells or strain links in parallel. 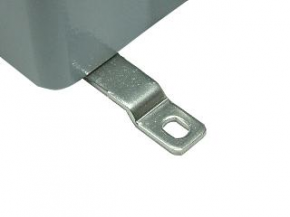 The application is weighing of silos or tanks. 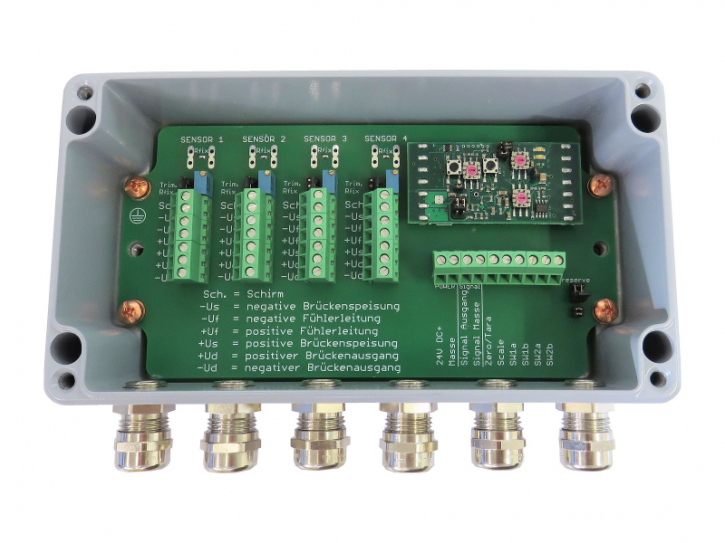 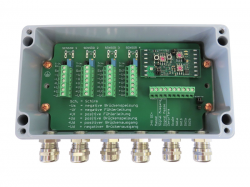 The integrated straingage amplifier has two treshold value outputs, they are configurable over coding switch in 10% steps.